Mai Oui! 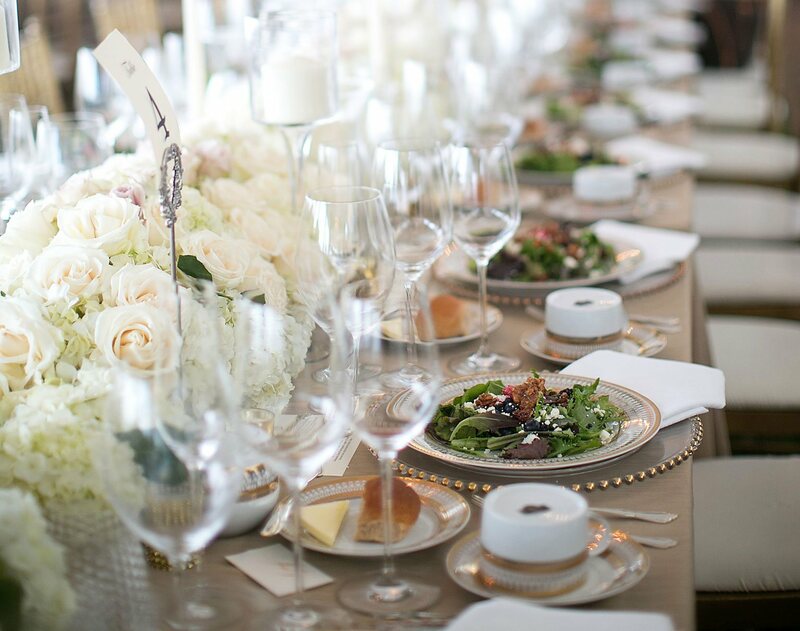 Catering and Event Planning has been a leader in catering for Jacksonville, Ponte Vedra, St. Augustine and Amelia Island since we opened our doors in 2003. Whether you need catering for your wedding, a large corporate event, an annual awards dinner or an elegant social Mai Oui! Catering and Event Planning has the experience and resources to make your event memorable. We specialize in creating custom menus and are dedicated to ensuring the best in taste and quality. Mai Oui! Catering and Event Planning will take care of all the details from site selection, rentals, floral design, entertainment and bar service. Let’s start planning your next Mai Oui! event. Let’s Get Started Planning Your Big Day! Congratulations! Your wedding reception is an expression of you love story…a reflection of your individuality…and a celebration of a new beginning. Mai Oui! Catering and Event Planning would be honored to be a part of your special day. Mai Oui! Catering and Event Planning prides itself on providing a full service experience for all of our Couples. Once you become a Mai Oui! Couple you will have the opportunity to take part in our “Big Day” Day of Coordination service. Available to our clients only, this affordable coordination packages creates a stress free wedding day from start to finish. In addition to food catering for your wedding reception, consider Mai Oui! Catering and Event Planning to be a part of your Wedding Shower, Rehearsal Dinner and after event festivities. Proudly serving the greater Jacksonville area, including Ponte Vedra, St. Augustine, and Amelia Island. Mai Oui! Catering and Event Planning is a leader in corporate catering in Jacksonville, Ponte Vedra, St. Augustine, Amelia Island and all of Northeast Florida. Whether you have an elegant annual event, a monthly meeting or you just want to impress that special client – Mai Oui! Catering and Event Planning has the experience and resources to make your event a reality. Mai Oui! Catering and Event Planning will take care of everything. You will be paired with one of our corporate event planners who will guide you through the process of planning your corporate event from start to finish. What type of event can we help you with today? "Mai Oui, Erica and Kevin hit it out of the park yet again! Many thanks for everything! Food, presentation, professional AND friendly....the best combo ever. Until the next party... ;-)"
"Karen and her team exceeded my expectations not only in the delicious quality food at our charity event but the level of service and the care and love she and her team put into every detail. You can tell that this is a labor of love for Karen -- Mai Oui catering made me look good. I will never use another caterer as long as I am planning any event. I cannot be happier and my guests were raving about the food and service. THANK YOU THANK YOU THANK YOU! Love Mai Oui!" "Mai Oui! Gourmet went above and beyond expectations for our wedding. Not only was Karen an absolute joy to work with, but on the big day, her staff were so friendly and helpful and we got nothing but compliments from the guests about the food and service. My husband and I came into her office without a clue in the world of what kind of food we wanted but she helped us craft a unique menu that infused the Indian, Japanese, and American cultures of our families and the food was nothing short of amazing. Karen was so attentive to our needs and she even helped me with some day-of coordination! She made sure the bride and groom had their food first, their glasses were never empty, and she stuck to the timeline of the night while keeping a smile on her face the entire time. Her staff did a great job with set up and clean up...and even took a photo in our photobooth and signed our photo-guest book which I LOVED! 5 stars all around for this catering company!!!" "We cannot begin to express how overjoyed we were with you and your services! Everything at our wedding came together perfectly, looked amazing and tasted heavenly! You guys went above & beyond our expectations, not only with the quality of the food & superb service, but with your planning, event services and décor provided for the food stations! Everyone loved the meal at our wedding! You all have an amazing team and we are so thrilled we chose you as our caterer! Thanks again!" "We must thank you for a wedding that went off without a hitch. Our food was absolutely amazing and I actually sat down and ate! Everything was perfect, thank you again so much!" "Mai Oui Gourmet was fantastic! I challenged them to think outside the box for a corporate appreciation luncheon and they exceeded all expectations. The food, presentation and service were perfect. I have always used Mai Oui for my catering needs in Jacksonville. They make me look good!" "My Husband and I could not be more pleased with the catering Mai Oui provided for our wedding. We chose a venue that did not have a kitchen and was much more challenging for a caterer serving dinner to 200 people, but they seemed to do it without any problems. Karen was a pleasure to work with and was very accommodating. We received many compliments on the food and even had guests notice how beautiful they decorated their tables to match our décor. I would recommend Mai Oui go anyone!" "I already miss you after having spent over a year discussing Leigh Elizabeth’s wedding. You were wonderful and you did so much more than catering. You are truly an event planner. As you know, I was very nervous about all the plans and everything going on the time. You made it all happen and were so calm in everything you did. Now for the food. If I hear “it was the best food I have ever had at a wedding” one more time, I would think all of the guests have been told to say the same things. They are correct; you would never have known the meal was prepared for 230 people. It was as fresh as if you were doing a dinner party for ten. Leigh Elizabeth is my only child, but if I had more daughters, I would return to you. For any events, I plan to turn to you." "When we started planning our wedding, my husband and I both agreed that the caterer would be our most important vendor. From the moment we sat down with Mai Oui, we knew we had found an incredible caterer. We worked with Karen to create the most incredible menu. Mai Oui even stayed late at our wedding to bring out delicious duck fat French fries and other fired goodies for a late-night snack. Everyone who mentioned the food said it was by far the best wedding for they ever had. If you want to be confident that you and your guests are in good hands, you should hire Mai Oui for your events." "We thank you for the precise execution of the party plan for the ATSI Open House / Anniversary Event on April 27th 2012, particularly coordinating the last minute venue change. Our guests really enjoyed themselves. By all accounts the food was excellent and high quality. The logo cookies were such a nice surprise too, thank you! We appreciate all of your hard work in creating an event that exceeded our expectations! We look forward to working with you in the future." "Thank you so much for donating the caramel pecan tarts for South Jacksonville Presbyterian Preschool’s auction / fundraiser held at Friday Musicale April 27. We truly appreciate your generosity and support. Our event raised $8,200 for the preschool to send teachers to continuing education training, buy new toys and equipment for the classrooms and help keep tuition costs low. Thank you for helping make this possible!" "We cannot begin to express how overjoyed we were with you & your services!!! Everything at our wedding came together perfectly, looked amazing, & tasted heavenly! You guys went above & beyond our expectations, not only with the quality of the food & superb service, but with your planning, event services & decor provided for the food stations! Everyone loved the meal at our wedding! You all have an amazing team & we are so thrilled we chose you as our caterer! Thanks again!" ""The desserts were wonderful. Ask about their double chocolate torte cake with raspberry sauce!"" "Thank You so much for the wonderful job you did with our holiday party on December 16th. Everyone enjoyed themselves very much and you were complimented numerous times. The food was delicious and no one could stop raving about it. We will definitely be using Mai Oui for our next special event and I will certainly pass the word around that you do an outstanding job! Thank You again for making the event so special." "When you catered our wedding on June 21, 2008 (Palm Coast, Florida), we were amazed by everything that you and your staff did for us and our guests at our wedding! Your services were obviously well planned, thought out, and executed beyond our expectations. Everyone I talked to in Florida (as we were planning our wedding from Ohio) knew exactly who you were, and they had nothing but good things to say. I only wish that I lived in Florida so I could tell anyone planning a wedding there that they have to hire Mai Oui! Our friends and family still tell us how great the food was, how great and personable the bartender was, how awesome it was that someone from your staff came down to the beach to feed the bridal party during pictures, and a couple of our friends said it was the best wedding they had ever been too. Coming from a couple who have worked in restaurants for 15+ years, you have an amazing team! Congrats and Good Luck to all of you!" "Just a quick note to let you know how very much we appreciated your help, your expertise, and your professionalism. You worked with us patiently and diligently to meet our budgetary requirements and still managed to have an elegant, delicious dinner served to our guests. We were also impressed with your wait staff who cheerfully went to get us several appetizers that we had missed during the photography session. The tables were beautiful and the set up exactly as we had specified as was the timing of your service. You always responded quickly to our questions and concerns and came up with wonderful alternative suggestions when there was a problem. We really can’t say enough about you and your company. It was a pleasure to work with you and we would be happy to be a reference to any of your future clients." "I just wanted to say that your crew did a wonderful job and from the looks of the large trunks that they packed and unpacked etc. they were all happy to end the night. I took the photo of the young lady with the tray of hors d'oeuvres" because see struck such a great pose and the idea of serving the wedding party while we were taking group photos on the beach was much appreciated. Hope to work with your company again." "Words cannot express how much Matt and I appreciate all that you did for our wedding this weekend. The day was very wonderful and everything went smoothly. Thank you for all of your hard work, and for making our day so special! Your attention to details and excellent planning made everything go without complication. In addition, thank you for the wine & cheese gift basket. Matt and I shall enjoy this! We would love to serve as a recommendation, feel free to contact us in the future if needed." "I just got home and wanted to send you a quick email to tell you how THANKFUL Jason and I are that Mai Oui was a part of our special day. Everything went perfectly and we were thrilled with the food and the details you added to make our day beautiful. We have received nothing but amazing compliments on the service, the bar, the staff, and the food. Thank you for being there for us and all of your hard work that went in to making our day everything we dreamed it would be." "I wanted to let you know how pleased I was with the Gala on Saturday. I thought your team did a wonderful job serving our guests, and the food was delicious. Although I received many compliments during the evening for leading the catering committee, I let everyone know that Mai Oui deserved all the credit for making everything come together. Thanks again for all your work in making Saturday night a big success!" "I wanted to let you know how pleased we were with our member/guest party you catered for us. Everything from the presentation to the excellent food to the cleanup was awesome!" "Thank you so much for a wonderful meal and set up for Shelley’s wedding. You guys went over and above my expectations. We are so pleased and hope to do business with you again." "I would like to extend our greatest thanks for all of your hard work. You all gave us a wedding beyond our wildest dreams! All of the little details made such an impression n our guests and were such a neat surprise for us. We would like to make a special thanks to Kelly. Kelly went ABOVE and BEYOND. You made us feel so relaxed, you had everything under control, and you made us feel like your only client. Truly a pleasure!" "Once again, a fabulous job! Thanks so much for you wonderful menu, event catering services floral design, and presentation. Everyone was SO IMPRESSED. We received many many allocades, thanks to both of you. Totally over the top. Your food and everything is fantastic. I vote you the best caterer I've ever used." "We just wanted to thank you so much for the incredible dinner you prepared and served us for our Teacher Appreciation. The food was absolutely delicious (especially the chili-lime sauce!!) and the service was wonderfid I You were so easy to work with and we appr eciate so much all the little "extras" such as the "Thank You to the Teachers" sign. You truly went over our expectations! Thank you again for all ofyour hard work! We look forward to using you in the future!" "Everything was absolutely wonderful. The food was excellent! Everyone went on and on about what a great job they did. I did have a few people ask me for your information. Kimberly gave me a few business cards to pass out. Thank you so much for everything!" "Thank you for providing the catering at our first campaign reward session at Craig Air Center! You and your team did an outstanding job of presentation and service and I know our guests thoroughly enjoyed the hors d'oeuvres and beverage selections. It was a pleasure to work with you and I look forward to the Opportunity to do so again in the future! " "Thank you, thank you, thank you a million times. Today was made possible through your love & care. Please except this small token from AJ and I to help you always remember us." "We cannot thank you enough for all of your hard work at our wedding. Because of you and your team our wedding was perfect! Our guests loved the food and the presentation was more than we could of hoped for! We hope to have an opportunity to work with you again in the future." "How does one thank you! For one year I have made you nuts planning Dilyn and AJ’s wedding. This was the “Big One.” Living in New York, we are quite spoiled by all the great food, caterers and fabulous restaurants surrounding us. You put them all to shame. The food that was served at our daughters beautiful wedding was the best that I have had. My guests are still talking about the choices, the presentation and the flavors.My Mom and Dad are talking about the incredible service you provided along with the fabulous food. We are a tough crowd to please and Mai Oui! Gourmet far surpassed all of our expectations. Any event that is lucky enough to have you and your delicious food will be fortunate. I only wish that you had a New York office as well. We would be eating Mai Oui! food often." "Thank you so much for supporting the CF Foundation and Tailgate – Kick Off to a Cure. The event was a huge success – thanks to you and your yummy food. I think the guests especially liked your Crepe Suzette Station. It was so good. It’s because of the support we receive from establishments like yours that we are able to make every cent count, and provide hope for our families battling CF every day. We couldn’t do it without you. We look forward to seeing you at Tailgate 2011." "Karen, you all did such a wonderful job last night. Everyone on your team was so nice and accommodating! I sampled every item that was passed (at least once)…they were all sinfully delicious! However, those crab cakes were the best I have ever eaten!!! It was a pleasure working with you and Nikki. Mai Oui! will hear from us again and I would recommend you Mai Oui! Gourmet to others. Well done!" "Karen and Mai Oui Gourmet Team, Thank you to you and your staff for making a magical evening at my daughter’s wedding even more special. The food was delicious, the staff efficient, courteous and professional. It was first class service all the way. I appreciate the opportunity to have you cater our event. I will definitely be recommending your company to everyone I know. I received compliments from too many people to count. They also loved the bartenders and were impressed by their service. I was repeatedly told they would remember what they were drinking. They also said they never waited for a drink. You were right on point with all your advice. We can’t thank you enough for a spectacular evening." "Hi Karen, I hope this finds you well. Andrew and I want to thank you for everything you did to make our wedding day the most special day of our lives. It was perfect . In large, all because of you and your staff. We were so thrilled how everything came out – from the décor to the linens to the YUMMY FOOD. We could not have asked for anything better .Thank you so much for all of your hard work and coordinating. We will definitely recommend Mai Oui! to anyone who needs a caterer. Thank you again for making our wedding day one for the books :)"
"Karen, thank you to you and your amazing staff for helping to create the wedding of my dreams! The food was phenomenal, the guests raved about it....especially one sweet little girl who was hungry and couldn't wait 🙂 Thank you for going above and beyond, Ezra and I are truly grateful!!" Contact Mai Oui! Gourmet for your next event.